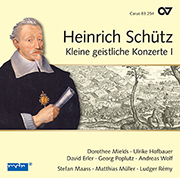 Heinrich Schütz’s compositions were hugely influenced by the horrors of the Thirty Years’ War. He continually assimilated his anxious and painful experiences into his works, but in the process created an optimistic, peaceful view of the future. 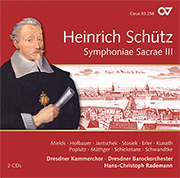 His Kleine geistliche Konzerte II are also a highly sensitive response to the social conditions of the time. 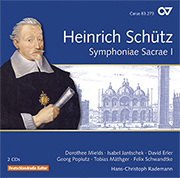 A CD recording of these works is now being released as part of the Schütz Complete Recording. 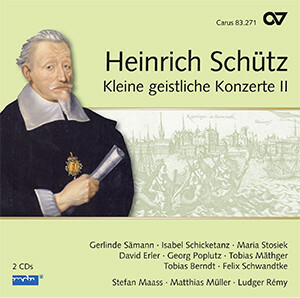 This is one of the last recordings with the harpsichordist, organist, and conductor Ludger Rémy, who died in 2017 after a long illness. 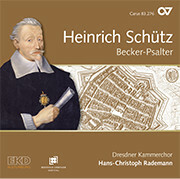 Hans-Christoph Rademann pays tribute to his long-time colleague in a personal foreword.